Welcome to Manga Studio Sensei! I’m happy to present the new and improved Manga Studio Sensei. Pardon my dust and eraser shavings as I fill the website with more tutorials, tips and tricks. First off, my long term goal is to be able to present enough materials to get an absolute digital art beginner to feel comfortable with Clip Studio Paint/Manga Studio 5 within 2 months, which is the duration if the Intuos Manga trial. There are a lot of mysterious tools in the program, but I hope to help clarify what makes this program an amazing piece of software. Secondly, I want to be able to catalog all the best resources for an aspiring digital artist. 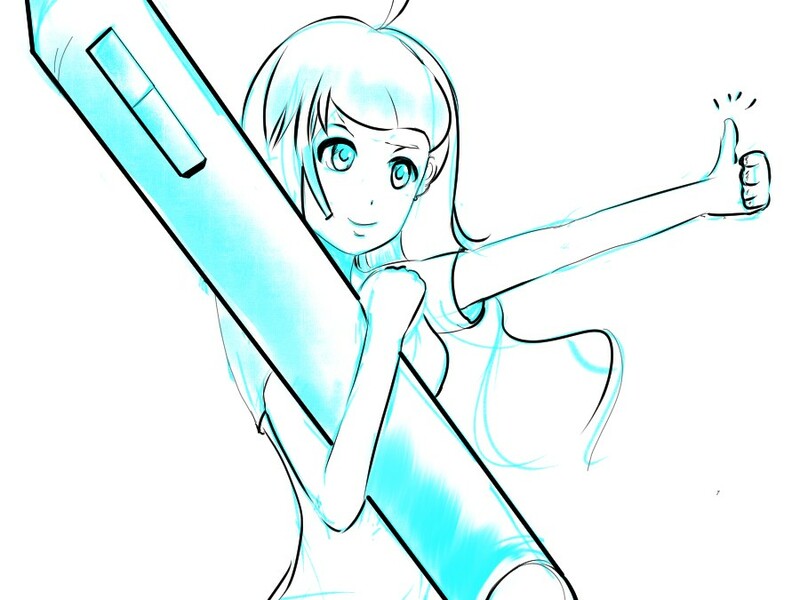 Google often fails in finding the right resources for a budding digital artist, especially those looking for how to draw in the style of anime. Luckily, the resources do exist! They’re often buried deep within deviantArt or other large sites, but I hope to unearth everything you need to get over your drawing slumps! Lastly, I wish to help you stay abreast of technology involving digital art while making sure that you don’t stress about upgrading. Occasionally, tablets don’t play nice with your PC and it feels like it’s broken, but there’s often a simple fix! Maybe you’re curious about a new fancy digitizer, but you don’t know how it’ll actually perform with Manga Studio. Either way, there’s a lot of cool input devices out there but it’s not feasible to try them all on a normal budget. Hopefully I can make the purchasing process easier! I look forward to building this site to be bigger and better. Drawing is fun, but helping is more fulfilling~! It doesn’t appear this site has had any updates in some time. That’s unfortunate, because I just picked up Manga Studio EX5 yesterday. I’d done some research before purchasing it, and the majority of what I read stated it was about the best bang-for-your-buck as far as digital art is concerned. As an artist who has always used traditional media, I’ve never even dipped my toes into digital art software. Not even Photoshop. Last night I installed the software and immediately realized that I was going to need a lot of assistance in figuring out what all these new-to-me parameters, settings, and terms were. The downloadable user’s manual isn’t a whole lot of help and the majority of internet tutorials seem to assume the user already has experience with other digital art software. Unfortunately, that pretty much leaves me out. I hope that this site may spring to life sometime in the near future, as it seems to be exactly what I’ve been searching for, and an excellent idea. I’ll receive my tablet today, and hope to commit my weekend to limping through the software a bit more. If there are any websites that do offer a tutorial for those new to digital art as well as this program, I’d love to know about them. Thanks. Best wishes. In the same boat as you. I just purchased a Surface Pro 2 as an entry into digital art, and being unable to get my hands on a version of PS prior to cc, I downloaded the trial for Clip Studio Paint. After opening it, and downloading the .pdf of the Users Manual it became quickly apparent that some type of step by step visual aid was needed similar to what you can find with 3D modeling software. While there are tutorials and many speed drawing examples a break down, or simple quick start series is hard to find, and would be an extremely lucrative proposition should someone ever do a formal one.